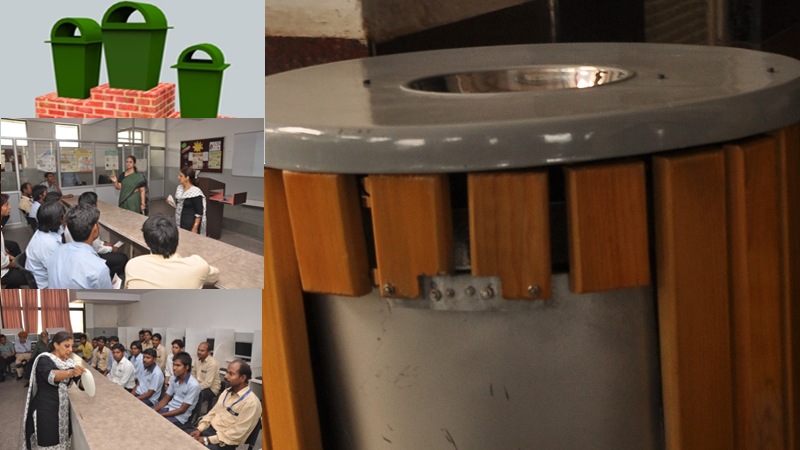 In order to made SWM drive effective a workshop was organized for housekeeping personals on 13th June, 2014. This workshop was attended by 15 staff, i.e., one manager, two supervisors and 12 housekeeping staff. Ms. Gurpreet Kaur, NGO, ACT, Lakhadpur Village, Greenfields. The feedback received was positive and it was liked by all housekeeping staff. To achieve this Prof. IK Kilam has been requested to permit 3 to 5 minutes slot in various student functions and events, so that students and staff of MRIU can be regularly sensitized towards waste management. The segregated waste requires one single dumping site from where upon it can be collected by ACT NGO, Lakhadpur Village for recycling. Mr. Atul Kalra has been requested to allocate the site so that the loop of the activity can be completed and monitored there upon. Organic food and kitchen waste generated at MRIU campus has been decided to be converted to energy by installation of Biogas plant. Vendors in this regard has been finalized and the project will be in place and functional by end of October 2014. In this regard, it was decided that certain hoardings/aluminum panels (for eg. as in commonwealth games – roads of Delhi) will be setup along pathway used for VIPs & dignitaries on visit to MRIU, parents and others. These hoardings will have sensitive environmental quotes for sensitization of one and all every moment of time.